Mozilla sent Firefox Version 29.0, referred to as Australis, to the release channel. Edit: No security updates are included in the update. Security updates have been published. The update includes five (5) Critical, six (6) High and three (3) Moderate updates. Removal of the Firefox button, replaced with three diagonal lines located to the far right in the Navigation Toolbar. If you used the add-on bar, it is now gone with the content moved to navigation bar. The bookmarks icon is no longer available in the Address Bar and has been merged with the bookmarks button. The ability to move some elements such as the back and forward buttons has been removed. Elimination of small icons and no option to display icons and text in the interface. After you have had an opportunity to experiment with the changes, if your experience with the updated version is similar to mine and there are some you just don't think you can live with, check out the suggestions at gHacks on How to turn the new Firefox 29 into the old Firefox. You could also switch to the Pale Moon Browser, based on Firefox ESR. The developer is fast to include any needed security fixes but doesn't make changes merely for the sake of change. Personal comment: These latest changes to Firefox have resulted in a rather ugly interface. I'm glad I switched to Pale Moon as my go-to browser. Adobe has released security updates for Adobe Flash Player 13.0.0.182 and earlier versions for Windows, version 13.0.0.201 and earlier versions for Macintosh and Adobe Flash Player 11.2.202.350 and earlier versions for Linux. With today's Windows Update, Internet Explorer 10 and 11 in Windows 8 and Windows 8.1 will be updated. Windows RT must obtain the update from Windows Update. Google Chrome will be automatically updated. These updates are rated as "Critical". However, the updates do not address the zero-day vulnerability in Internet Explorer versions 6-11, which will require a Microsoft update to IE. Since Windows XP is out of support, Microsoft will not be releasing an IE update for Windows XP. Anyone still using Windows XP and unable to move to a new computer/operating system, first should use an alternate browser. In addition, unregister the VGX.DLL file as shown in Paul Ducklin's instructions here. Microsoft released Security Advisory 2963983 which relates to a vulnerability in Internet Explorer. With the vulnerability, an attacker could cause remote code execution if someone visited a malicious website with an affected browser. Generally, this would occur by an attacker convincing someone to click a link in an email or instant message. Although the vulnerability affects all versions of IE, at this time, Microsoft is aware of limited, targeted attacks, in which the exploit observed appears to target IE9, IE10 and IE11. Additional details about the exploit are available from the FireEye Blog, New Zero-Day Exploit targeting Internet Explorer Versions 9 through 11 Identified in Targeted Attacks. As illustrated in the "Security Research and Defense Blog" reference below, users of IE 10 and 11 should ensure they haven't disabled Enhanced Protection Mode. The focus by WinPatrol developer Bill Pytloany for 2014 is monthly updates to make WinPatrol both easier to use and more powerful. Although the default setting is unchanged, a nice inclusion in the update is Windows tooltips to provide a consistent, helpful interface. The balloon setting is available from the Options tab. Other changes include an update to the newest library used for cookies by Google Chrome, Mozilla Firefox and other new browsers. In addition, some Windows components have been updated with custom DPI. For almost two years, I've read complaints by users of Yahoo email about a host of complaints, including difficulties with password resets, problems logging in, loss of features, spam filters not working, and more. Tired of the problems with Yahoo email? The Outlook Team has a simple solution. Finally, Yahoo and many other IMAP-enabled email can be imported to your Outlook.com account. The steps are really simple. Just go to your Outlook.com Inbox and click the "gear" icon in the upper right, selecting Options. Next, click "Import email accounts" and select the option for Yahoo. When the window below opens, merely choose from where you want to import your account. Expand the Option link to select how you want to import your email. While the import is being completed, you can learn more about forwarding Yahoo mail from the linked Yahoo KB Article, Automatically forward emails with Yahoo Mail. When the process is complete, you will receive an email in your Outlook.com Inbox. Now you can get all of your email in one place! With rules, it is easy to direct mail to specific folders. This is a Critical Patch Update that contains 37 fixes for Java, 35 of which Oracle indicated can be exploited by an attacker without the need for authentication. Additional details about the update are available in the Java Release Notes, referenced below. 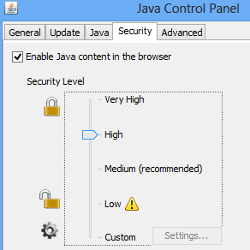 Oracle reported that Java SE does not include OpenSSL and, therefore is not affected by HeartBleed and CVE-2014-0160. For Oracle products that are affected, see the reference linked below. Microsoft released four (4) bulletins. Two of the bulletins are identified as Critical with the other two as Important. The security update provided through MS14-017 addresses the Microsoft Word issue described in Security Advisory 2953095. If the Fix it solution was installed on your computer, install the update first and then disable the Fix it. Microsoft released an updated version of the Microsoft Windows Malicious Software Removal Tool on Windows Update, Microsoft Update, Windows Server Update Services, and the Download Center. Included in the update is detection for Win32/Ramdo and Win32/Kilim. As has been widely publicized, support ends for Windows XP and Office 2003 today. Thus, this will be the last security updates for those products. See Tim Rains article, The Countdown Begins: Support for Windows XP Ends on April 8, 2014. Also note that effective after today, technical assistance for Windows XP will no longer be available. This includes automatic updates that help protect your PC. Microsoft will also stop providing Microsoft Security Essentials for download. Note, however, that definitions will be available until July 15, 2015. See Microsoft antimalware support for Windows XP. Adobe has released security updates for Adobe Flash Player 12.0.0.77 and earlier versions for Windows and Macintosh and Adobe Flash Player 11.2.202.346 and earlier versions for Linux. CVE-2014-0506: These updates resolve a use-after-free vulnerability that could result in arbitrary code execution. CVE-2014-0507: These updates resolve a buffer overflow vulnerability that could result in arbitrary code execution. CVE-2014-0508: These updates resolve a security bypass vulnerability that could lead to information disclosure. CVE-2014-0509: These updates resolve a cross-site-scripting vulnerability. *As requested by a Security Garden reader, the update information for the "Extended Release of Flash Player 11.7" can be found here. On Tuesday, April 8, 2014, Microsoft is planning to release four (4) bulletins. Two of the bulletins are identified as Critical with the other two as Important. The updates address vulnerabilities in Microsoft Windows, Office and Internet Explorer. The update provided through MS14-017 fully addresses the Microsoft Word issue first described in Security Advisory 2953095. If the Fix it was installed on your computer, after installing the update, it will be necessary to disable the Fix it to ensure RTF files will again render normally. Although update will fully address all affected versions of Microsoft Word, at this time, Microsoft is still only aware of limited, targeted attacks directed at Microsoft Word 2010. As has been widely publicized, support ends for Windows XP and Office 2003 on April 8, 2014. Thus, this will be the last security updates for those products. See Tim Rains article, The Risk of Running Windows XP After Support Ends April 2014. Note also that Microsoft Security Essentials will no longer be available for download for Windows XP.